Andrew is one of a small number of Greens who have initiated and seen implemented Green Party policies. He has nearly 20 year experience of negotiating with other political groups on a hung Council. 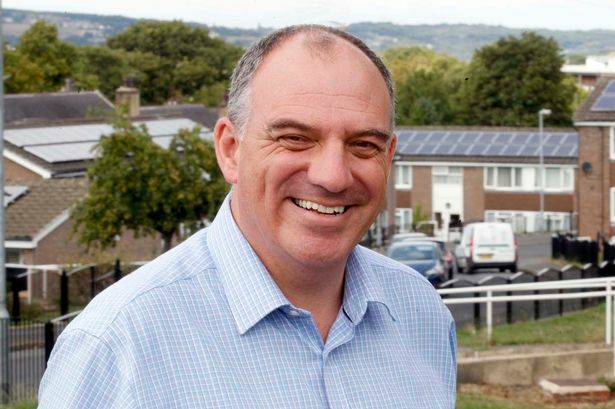 2000 - Renewable Energy Fund: Andrew was responsible for establishing the Renewable Energy Fund in Kirklees. When the Climate Change Levy was put on all non-domestic gas and electricity bills, large employers benefited through lower National Insurance contributions. Kirklees was a net beneficiary of this new arrangement. Instead of just losing this saving forever in the Council's budget process it was identified and the Renewable Energy Fund was established. This resulted in Kirklees having 5% of the UK's solar capacity and numerous other renewable technologies have been successfully trialled. 2005 - Renewable Energy in Public Buildings: Andrew successfully argued that all new public buildings will have their energy needs met from 10% renewable energy sources rising by 5% per year until 2011 when the 30% target will be met. New residential homes and schools have already incorporated wind turbines and solar panels. 2006 - Warm Zone Plus - free insulation for every householder in Kirklees: In November 2006 Andrew started drawing up proposals for a scheme that would provide free insulation to every householder in Kirklees. We asked council officers to draw up costings and our proposal was successfully put to last year's budget Council meeting. Over £10 million of additional investment for this scheme has been levered in from energy utilities as part of their CERT obligations. It is expected that the average householder that benefits from Warmzone will save around £150 per year off their heating bills. This meant that around £5 million went back into the local economy each year. Nearly 200 new worthwhile jobs were created as a result of this programme and a new training centre was been established in Kirklees for cavity wall installers. This scheme is cited by the Local Government Association as an example of best practice and is informing national policy. 2008 - 'RE-Charge' helps fund renewable energy schemes for householders: The RE-Charge scheme was a revolutionary new scheme that let people install renewable energy in their home and pay for it when they sell their property through a 'second charge'. There were no up front costs so people got the benefit of solar panels and other clean energy technology immediately without having to pay monthly repayments or interest charges. As energy prices continue to rise so will the value of the renewable energy generated. This initiative was launched by Kirklees Council in May 2008. In 2009 this project is joint winner of British Renewable Energy Awards. 2009 - Independent on Sunday's Top 100 Environmentalists In 2009 Andrew’s work promoting energy efficiency and microgeneration was recognised and he was named as one of the UK's top Environmentalists. He made 59 on the list and was the only Councillor on the list. 2012 - 1000 Fruit Tree project: In Andrew’s role as a Parish Councillor he initiated a successful project to plant a 1000 fruit trees across the Kirkburton Parish. 2013 – EU Social Energy Target : Andrew established the concept of a Social Energy Target for the European Union and commissioned a research project into its feasibility in collaboration with Jan Lambert MEP. 2015 - General Election : Andrew represented the Green Party in the Daily Politics Energy and Environment debate pitted against Ministers and Shadow Ministers, I also appeared on the Victoria Derbyshire show and represented the Green Party at our Manifesto launch. 2017 - COP23 Global Summit of Regional and Local Leaders : In Andrew’s role as a member of the EU Committee of the Regions he successfully introduce the concept of Locally and Regionally Determined Contributions as a new method for reaching the Paris Climate Goals. At COP21 in Paris the nations of the world came together to commit to keeping global temperatures below a 2 degree increase and work towards achieving a 1.5 degree increase. At the same time they agreed targets for carbon emissions reduction at the national level these were called the Nationally Determined Contributions (NDCs). The problem is that the NDCs agreed fall short of what is required to deliver the carbon savings we need to deliver a 2 degree of less rise in temperature. Locally Determined Contributions (LDCs) were heralded as an important step in bridging the emissions gap.